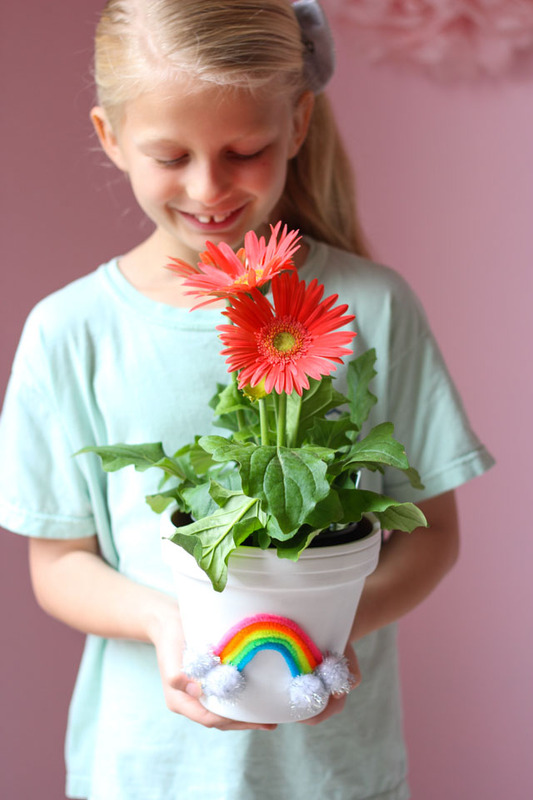 It’s hard to believe it, but Mother’s Day is less than a month away! 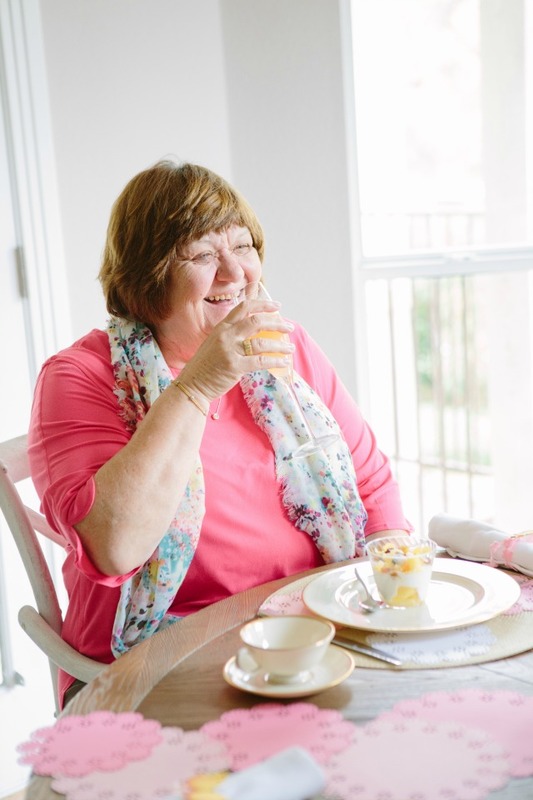 I recently had the opportunity to create a Mother’s Day brunch for the folks at Martha Stewart as part of the 12 Months of Martha program. 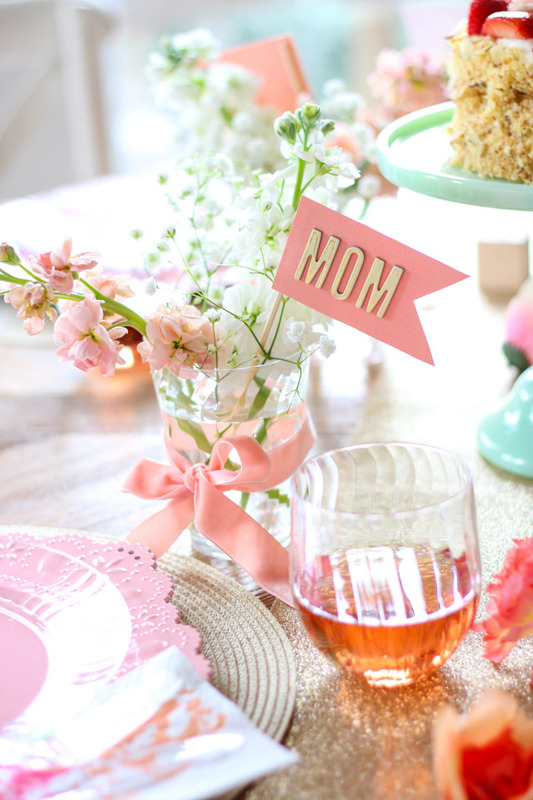 I’m hoping this tablescape using simple craft supplies gives you some easy ideas for your own special brunch – whether it is for Mother’s Day or Easter Brunch this Sunday! The timing of this brunch actually worked out perfectly, as both my mom and mother-in-law visited me a couple weeks ago (they’re buddies!). 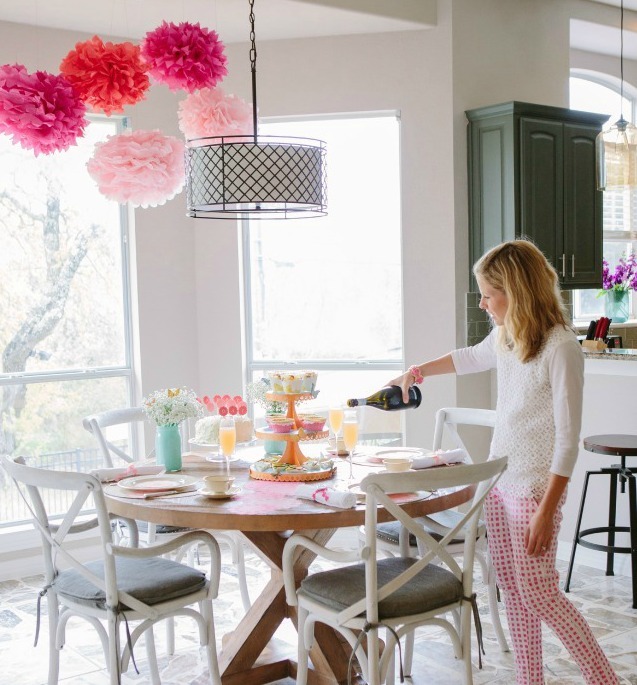 It was so fun to put together a special brunch for them to enjoy, rather than just doing it for the sake of a photo shoot. This party is made up of a bunch of simple elements that come together for a big impact. I’ve detailed them all out below in case you want to do the whole shebang or just try a couple ideas! 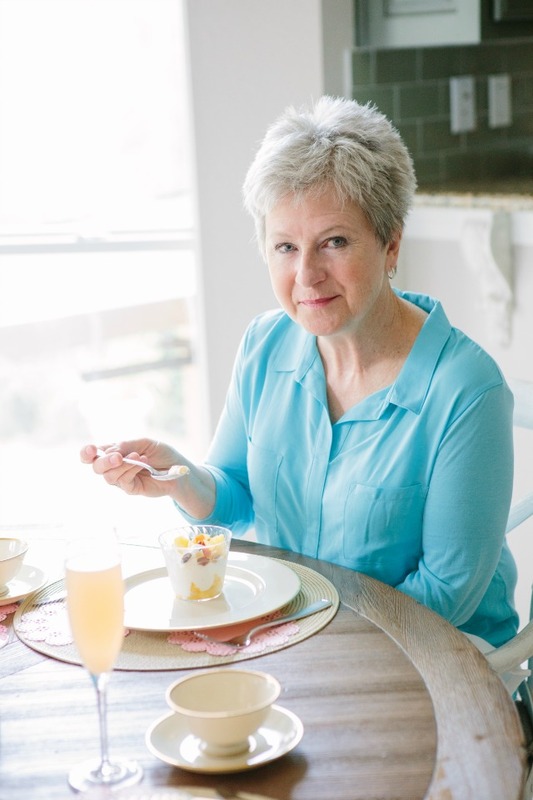 Our Mother’s Day brunch menu consisted of whipped yogurt with pineapple and dried fruit, individual spinach quiches, vegetable tea sandwiches, coconut cake, coffee, and red grapefruit mimosas. 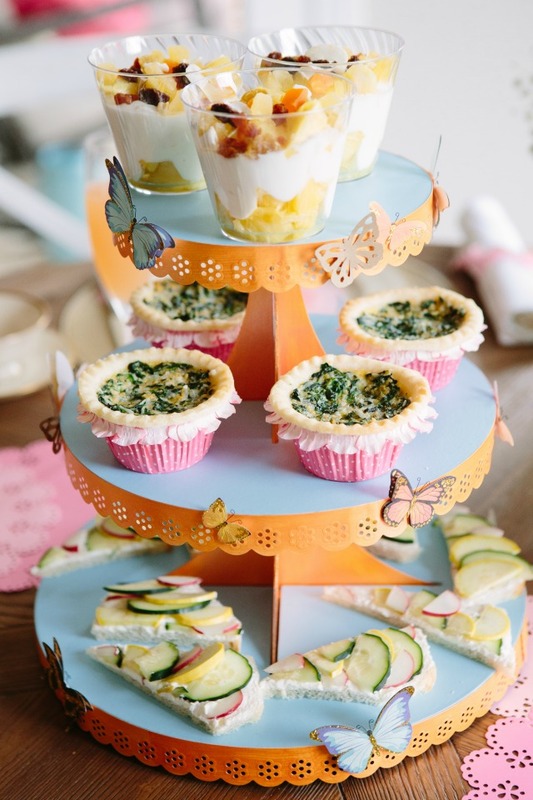 A Martha Stewart cupcake stand did double duty as both a pretty centerpiece and a fun way to serve the brunch food. I embellished the cupcake stand with some craft paint and butterfly stickers. You can find the tutorial here. 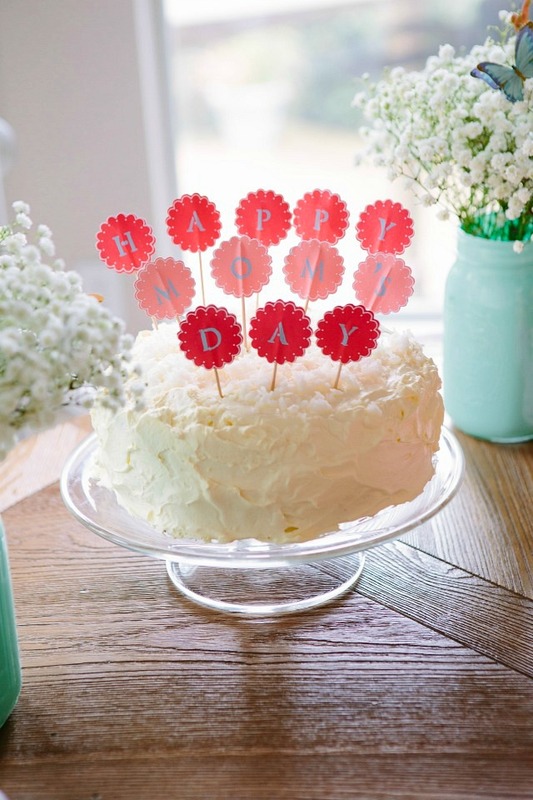 I used these pretty food picks and adhesive letter stencils to spell out “Happy Mom’s Day” for a simple and fun cake topper. 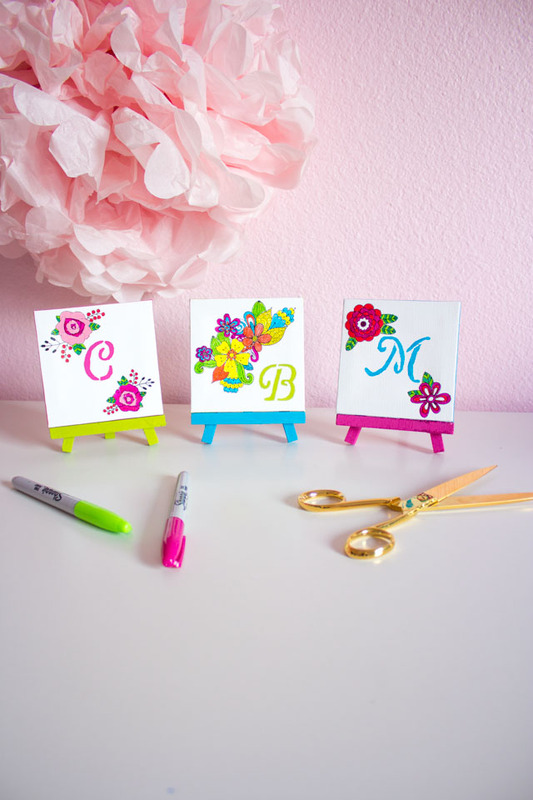 Just press the adhesive stencil on top of a food pick, dab on a little acrylic craft paint with a foam brush, remove the stencil and let dry! 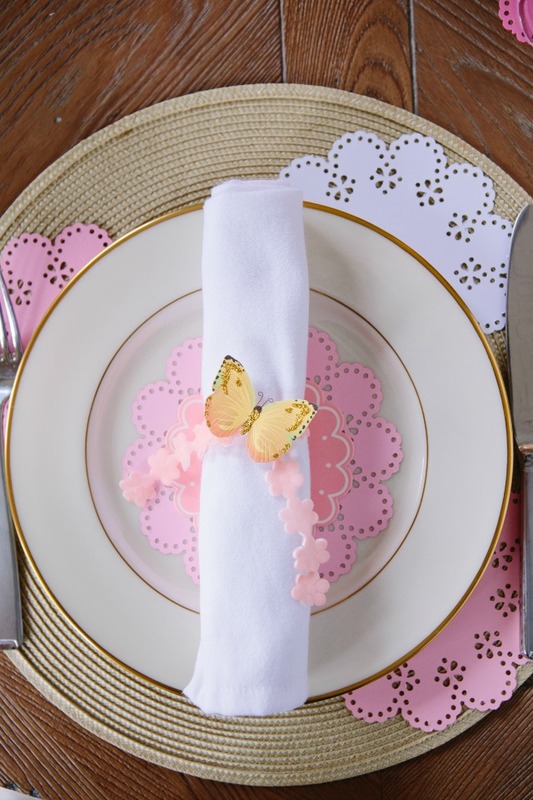 The doilies made from the circle edge punch and some pink card stock were the perfect thing to dress up a plain circular placemat (I just slotted a few in around each plate). 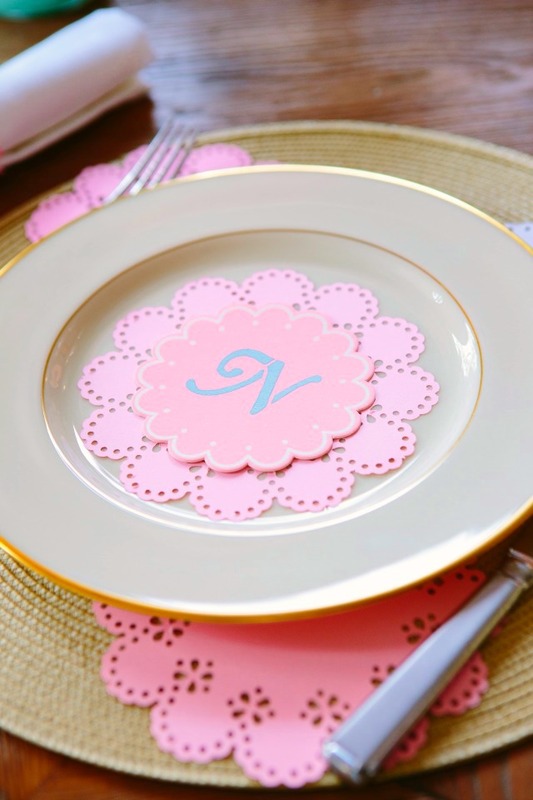 I also added one on top of the plate and made a little place card out of a pretty coaster and a monogram using these stencils and craft paint. 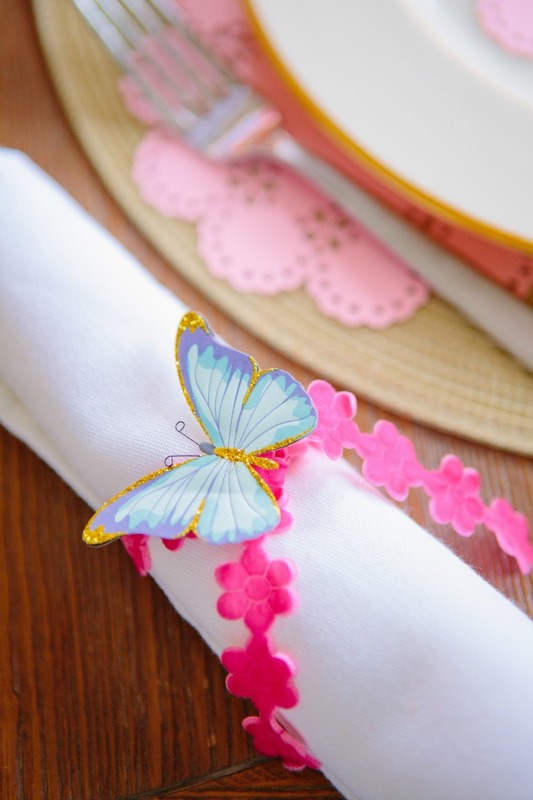 For simple napkin rings, I tied a piece of pretty ribbon around a rolled up napkin and topped it with one of these beautiful butterfly stickers. It doesn’t get much easier than that! I loved the butterfly stickers so much, I made a couple flower arrangements to show them off. 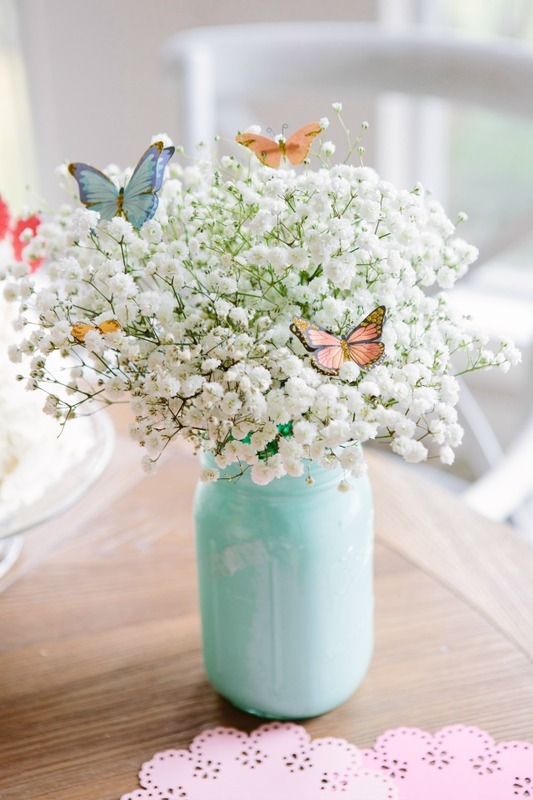 The stickers set into inexpensive baby’s breath makes them appear like they are flying among the flowers. I used mason jars painted with Martha Stewart acrylic craft paint as colorful vases. The brunch turned out so pretty, and the food so yummy! It was a special morning spent with two special ladies. 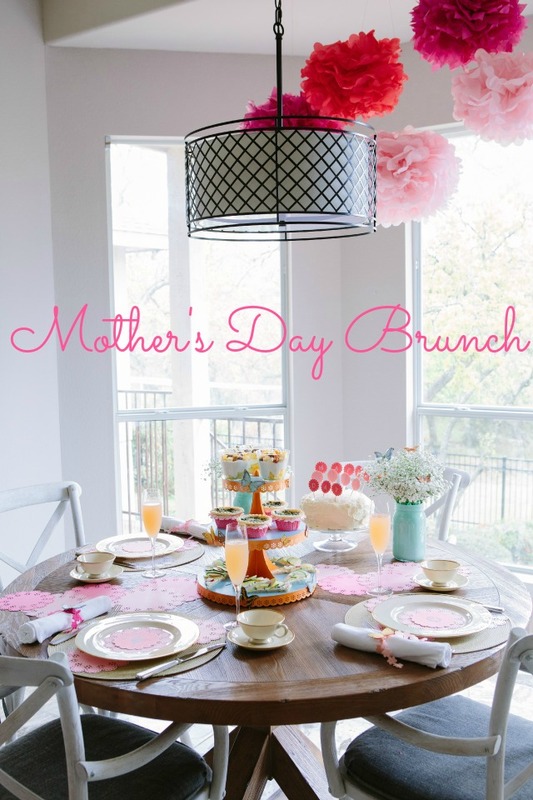 I hope you take away an idea or two to help you create a brunch in celebration of the moms in your life this upcoming Mother’s Day! 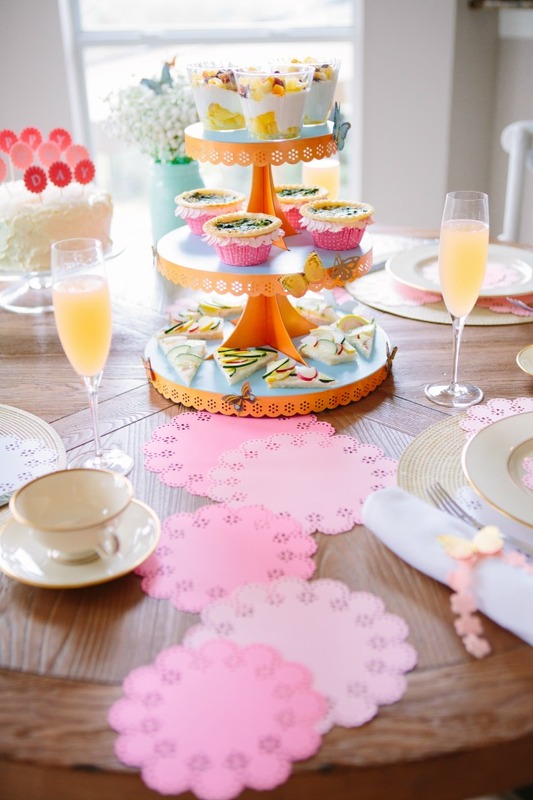 You can now find this brunch on Martha Stewart.com! 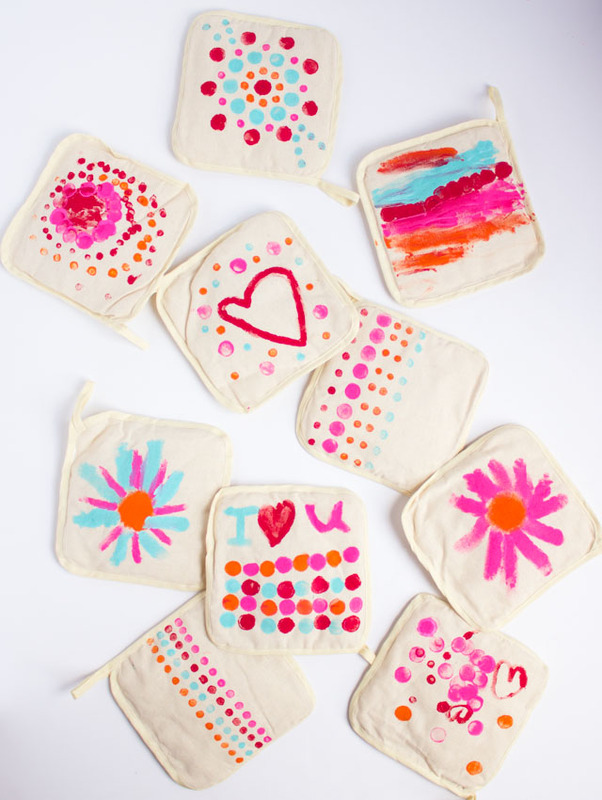 This is post is sponsored by Martha Stewart Living Omnimedia as part of the #12MonthsofMartha program. All content and opinions are my own. 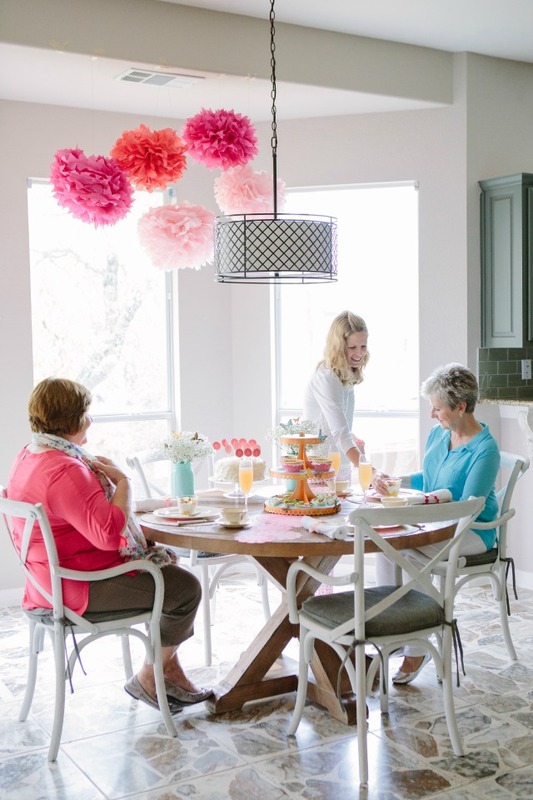 A big thanks to Candice Stringham for taking all the gorgeous photos!